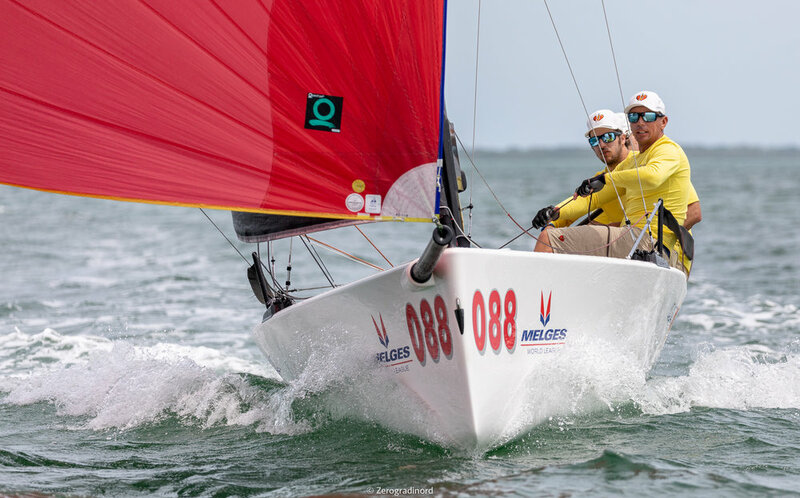 MIAMI (April 5, 2019) — The Melges 20 fleet is five races and three socials into the Melges 20 World Championship. Consistent racing has been paying off for Robert Hughes’s Heartbreaker who leads the pack at the halfway point, along with Manu Weiller and Federico Michetti. Sailors hail from nine different countries across four continents. After racing, everyone swaps stories and shares knowledge on the docks and at the social events at the Coconut Grove Sailing Club. Today’s race wins went to Vladimir Prosikhin’s Nika and Daniel Thielman’s Kuai. Overnight leader Daniel Thielman and his team of Rayleen Thielman, Jeremy Wilmot, and Alec Anderson have won three of the five races so far, but one mid-fleet finish today was enough to knock them to the second position. The Melges 20 fleet boasts incredible, highly organized racing around the globe, and 2019 is no exception. 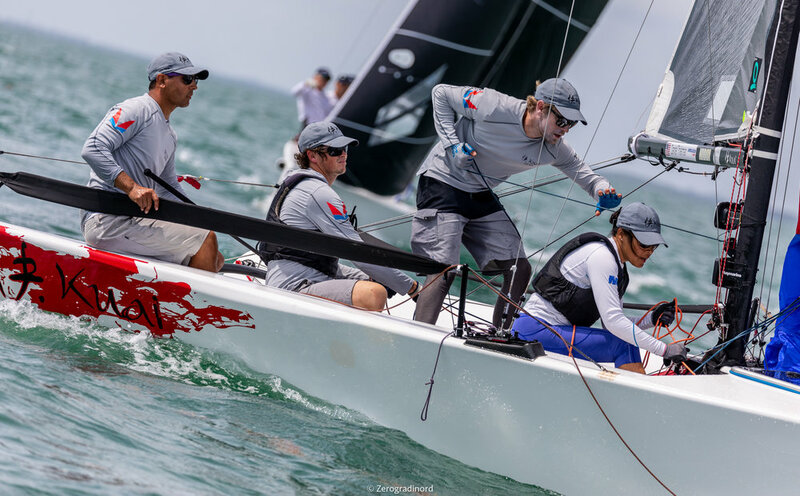 The Melges World League’s North American Division has welcomed new owners to the class this year and is fully energized for the upcoming 2019-2020 Miami Winter Series – now in its 11th year. Melges 20 World Championship racing continues the next two days.